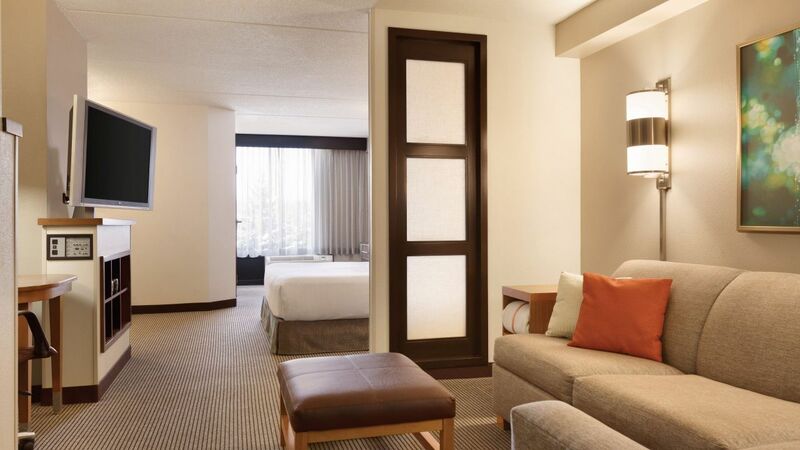 All of our spacious rooms feature a Hyatt Grand Bed™ and modern media/work centers. You’ll love the 42" HDTV, Cozy Corner sofa-sleeper, and bathroom vanities with granite countertops and complimentary amenities. Get connected with free Wi-Fi and remote printing. 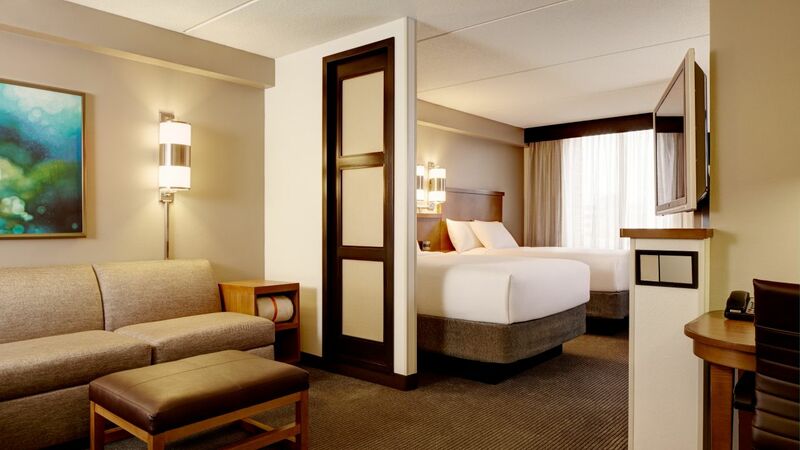 This ADA-compliant guestroom includes one king-sized bed, accessible roll-in shower, ADA-compliant amenities and bathroom features. 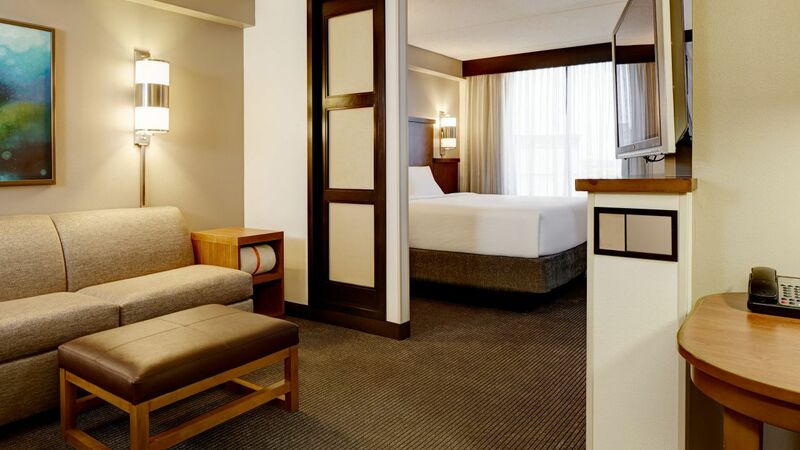 This ADA-compliant guestroom includes one king-sized bed, accessible bathtub with hand rails, ADA-compliant amenities and bathroom features. Experience the view from higher floors. This spacious guestroom offers a separate sleeping and living area, including one king bed and a Cozy Corner with sofa- sleeper. Experience the view from higher floors. This spacious guestroom offers a separate sleeping and living area, including two double beds and a Cozy Corner with sofa- sleeper. This roomy room offers a separate sleeping and living area, including two double beds and a Cozy Corner with sofa- sleeper. This roomy room offers a separate sleeping and living area, including one king size bed and a Cozy Corner with sofa- sleeper.